Elsevier is facing ongoing protests, especially from the blogosphere. Not only did thousands of scientists sign the boycott (no publishing, no reviewing, no editorial work), but more issues come up step by step. How much is an open access article? $0? Nope. Sauropod Vertebra Picture of the Week found out it’s 10.88 GBP (~13 €). Amazing. Our colleague Max Arndt from the Structural Geology-Tectonics-Geomechanics group of RWTH Aachen University, the proudest godfather in the world (own description), has started his own Geoblog: livin2dmax will be about his PhD work, Oman, interesting science stuff and the little things in academic life. He also pointed me to that great invention (it’s Microsoft, but worth a look! ): The NUIverse application for displaying space data with a fantastic user interface. The breaking news about the M7.4 Mexico earthquake scared me. Remember the 1985 Mexico city EQ which killed 10,000 people. We still have in mind the M7.2 Haiti event with an incredible horrible death toll. It seems like infrastructure and private property now suffered a lot, but until now I heard no news about any fatalities. This is great news from an event which I thought could be far worse. A tiny little fault in the Alfeios Basin, Greece. Sandstone in the footwall, marls in the hanging wall. Offset around 3-7 m.
We used the capacitive coupled geoelectrics system OhmMapper – great if you only need shallow penetration and if you can’t stick electrodes into the ground. Data density is comparable low (five data points only in the entire depths range that can be between 1.5 – 20 m), but measurements are fast and it works pretty good on highly resistive surfaces like arid soils, hardrock, sand, ice, sealed urban areas etc. Thank you, danke and muchissima gracias to all the authors, it was a good time! One last thing: this one is not only some nice action video, but has great geology! Cheers for advertising my blog! Once I posses a NUIverse I’ll let you play with it! Promised! I am looking forward to doing that! How much is it? 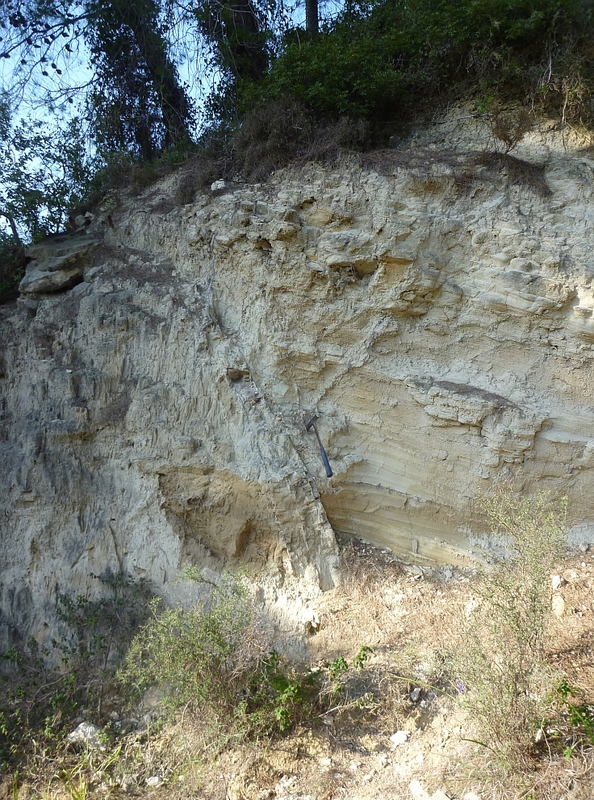 The featured image is a fold in the Authochtonous limestones close to Sidaq/Murri, right? Max: 12 points! We should think about replacing “Where On GoogleEarth” by “Find the spot from field images”!